When I first saw the posting for the Gigabyte 30th Anniversary Liquid Cooling Mod Challenge I didn't know if I would have the requisite skills to compete effectively. After careful consideration and hours of thinking through many possible themes, I have decided to throw my hat into the arena and give this a shot. After looking throughout the Gigabyte site for theme inspiration, I saw the 30th anniversary logo and an idea was born. My project will be called "ÁPEIRO", which is Greek for 'Infinity'. The sponsors of this contest manufacture hardware that allows anyone to build an infinite array of PC designs. The designs are limited only by the imagination of the builder. So what better way to express this concept than one with a theme of 'Infinity'. I used Google Translate to look at all the possible translations for this word and the Greek version sounded simple and yet elegant. 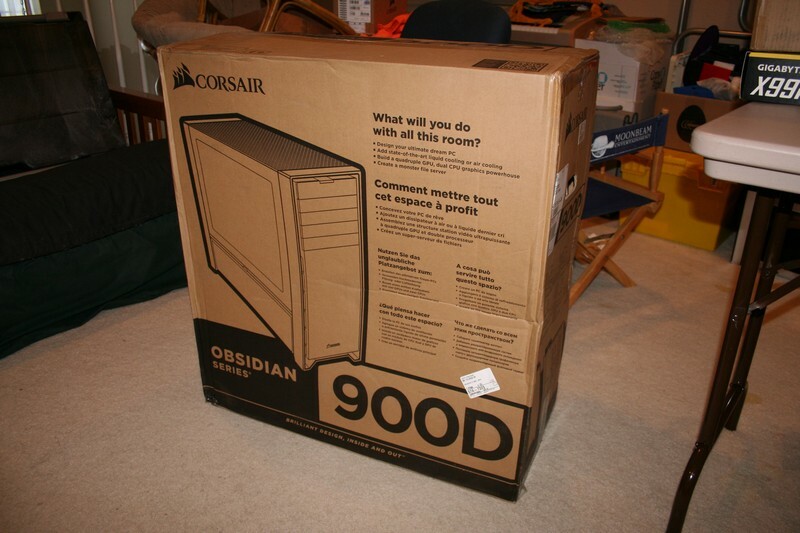 The case I will be using for this build will be the Corsair Obsidian 900D Super Tower. I did a previous mod build with this case and absolutely loved the versatility and craftsmanship provided. Unlike the previous mod, this one will be quite different. The interior will be gutted with the drive and 5.25" bays removed. I will fabricate a custom backplate with an integrated liquid reservoir and a custom midplate with RGB lighting. The video cards will be mounted vertically to the midplate. The whole front panel assembly will be removed and replaced with a custom infinity mirror assembly to match the theme. The top panel assembly and lower side panels will also be replaced with custom vent covers with the 30th Anniversary logo. The liquid cooling will be accomplished with vinyl tubing. The color scheme is looking to be Blue and Black. All wiring will be sleeved with Telios material to match the theme colors. Many of the concepts in this build will be a first for me and I look forward to the challenges that they will present. I am still working on making illustrations that will show my design, but in the meantime, here is an unmodified 900D. Last edited by NavyChief; 11-30-2016 at 07:18 PM. I have not been able to figure out how to use any type of modeling software, but here are some basic concepts utilizing Photoshop. Angled shot of case showing basic color scheme of blue/black. The front panel assembly will be replaced with an infinity mirror with blue LED lights. Can't draw that but the concept is easy enough. The right side panel will be replaced with a smoked acrylic panel. The interior will have a custom reservoir integrated into the backplate with blue LED lights and liquid. The video card will be mounted vertically onto a custom midplate. The water cooling loops will be using hardline tubing and encompass the video card and CPU. Thanks for the heads-up GIGA-MattH. The Gigabyte Mod2Win profile has been completed and submitted! It's cool to see that you threw your hat in the ring. I was going to do this but, I figured I should wait till I move into the new shop before contest builds. I'm not the master of all but, if you need any advice or have questions I'm always available. Also, great choice on the GPU. I have the two of em in Dark Matter and I absolutely love em. Thanks. I was nervous about entering this contest but I thought it would help to increase my skillset. I always try and incorporate new techniques with each build. Looking forward to giving this a shot. Thanks for the offer of guidance or advise during this build. Your Dark Matter build was an incredible build and I hope to someday reach that level of expertise. Thank god! That means some of us will actually have a shot I loved the DM build, you should do a concept just so we can see what build would've won 1st place. Congrats on your new shop also. 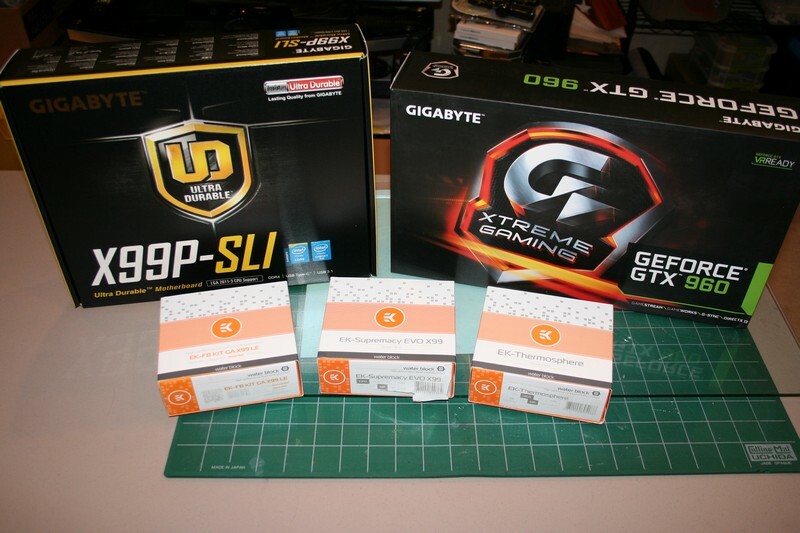 On Monday I received my build kit from Gigabyte. 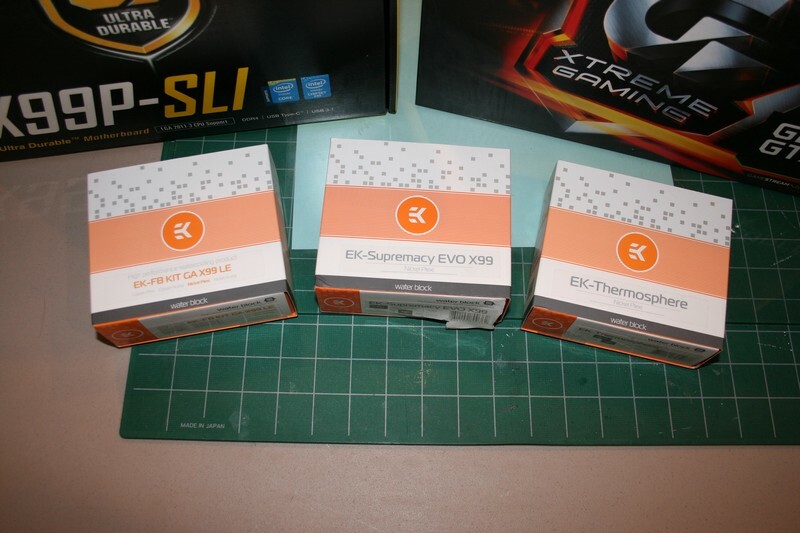 Here are shots of the hardware still in their packaging. I will be receiving more hardware from Corsair on Monday. 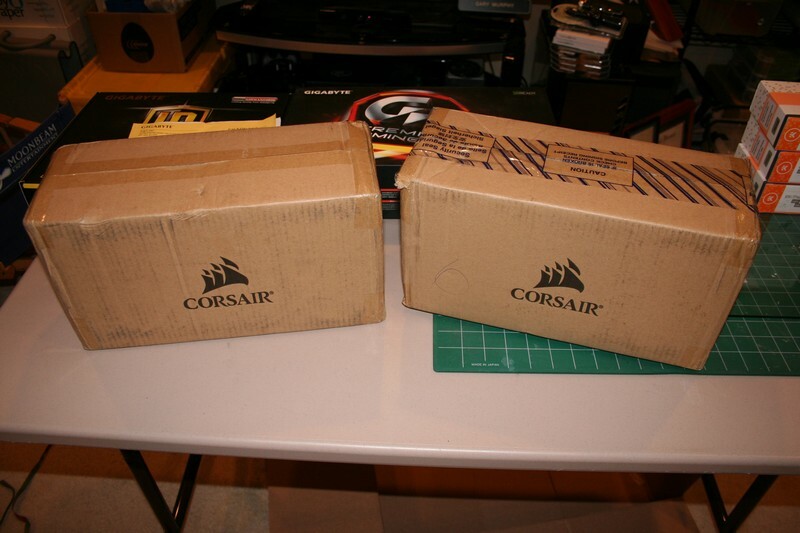 Received some exciting new items from Corsair this Friday. Several weeks ago I participated in a live modding event, 24hrs of LE Mods at QuakeCon 2016, and had the pleasure of using some of the new Corsair Magnetic Levitation fans. These were some of the quietest fans I have ever had a chance to use! Virtually silent and with a high static pressure/air flow. The light distribution was even and emanates from the center hub, so you don't get that pinwheel effect when lit. These fans come in three colors (white, blue and red). 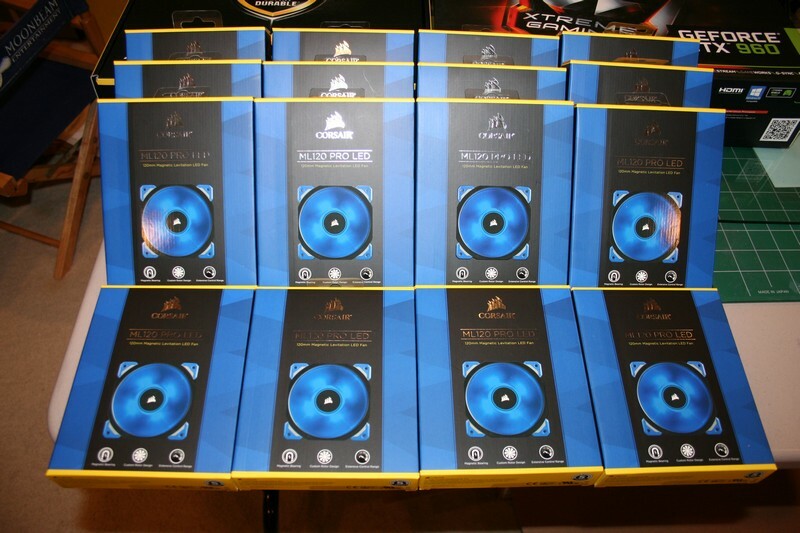 Here are 16 of the Corsair ML120 PRO LED Blue 120mm Premium Magnetic Levitation Fans. Last edited by NavyChief; 08-20-2016 at 10:23 PM. Received the case and some fans from Corsair yesterday. 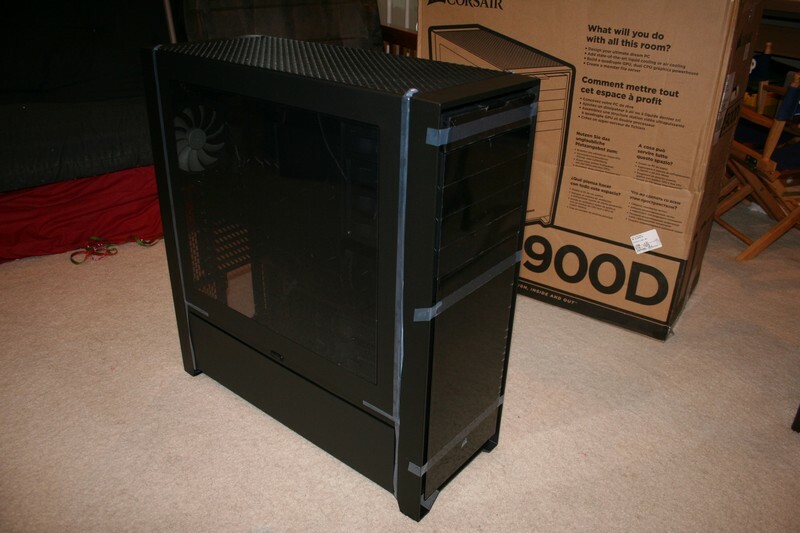 Here is the stock Corsair Obsidian 900D fresh from the factory. 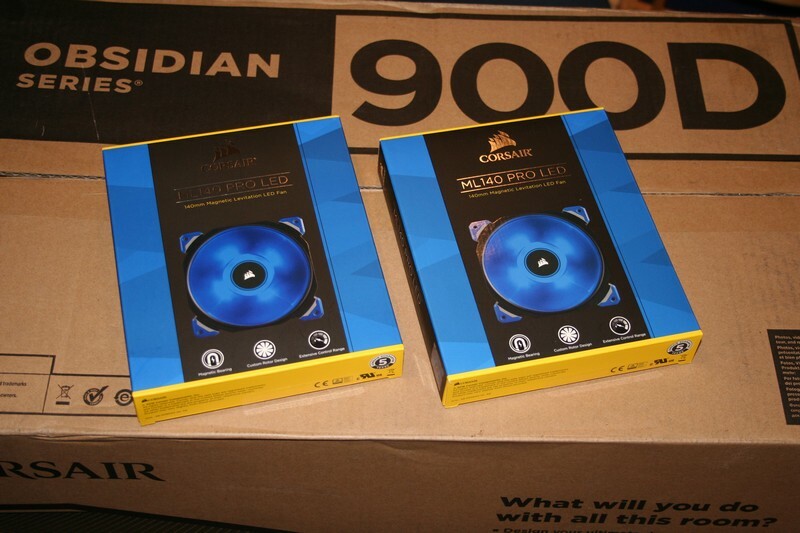 Here are two of the new Corsair ML140 PRO LED Blue 140mm Premium Magnetic Levitation Fans.